Upon Taylor Davidson’s suggestion, I made my way across the street from the Red Fort to one of Delhi’s oldest markets, Chandni Chowk. Below are some of my pictures from the market and a video to give you a better description of the area. 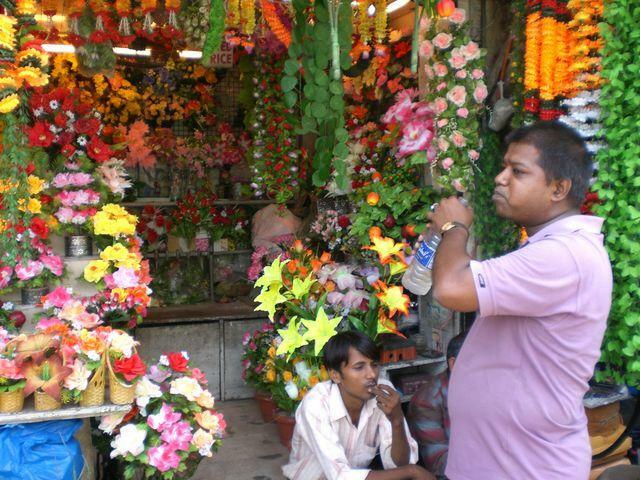 The entire area is crowded, although the merchants were tamer than I expected, except for two overzealous sari shop owners. 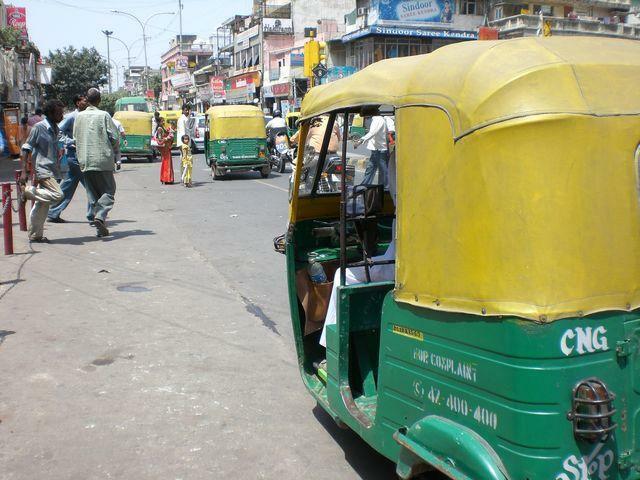 You can find clothing, jewelery, food, and spices along the main strip and tight side alleys of Chandni Chowk. 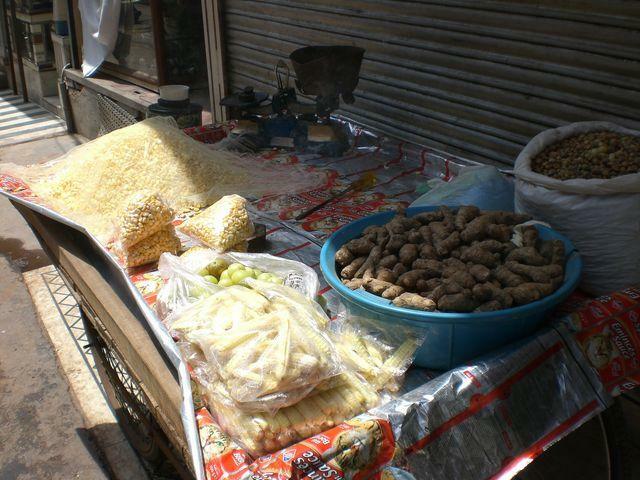 A cart with some hazelnuts, tubers, and (I think) corn for sale. A few shirts for sale. Intense bargaining was going on when I snapped this picture. 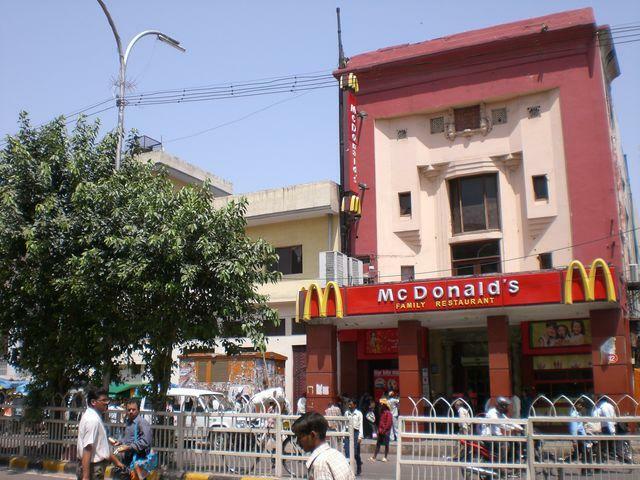 This was the first McDonald’s I ran across, but after my first day I found that they were littered throughout New Delhi as well as rural India also. 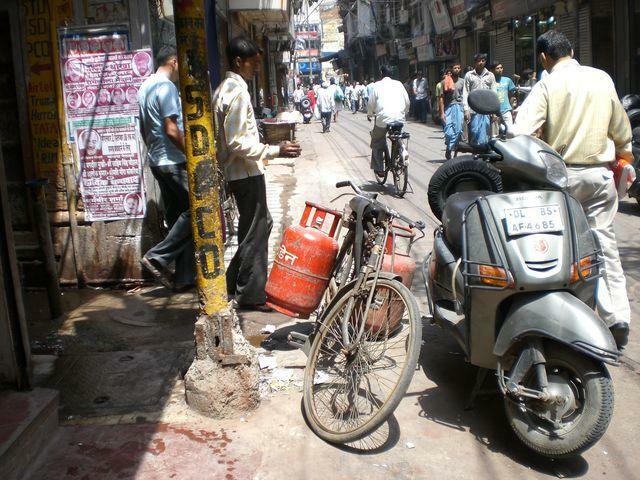 Two of the thousands of bikes (motorized and not) in Chandni Chowk. 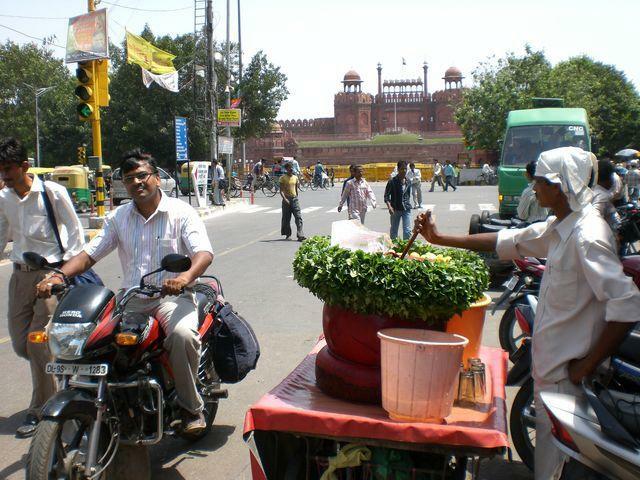 The Red Fort across the street. Geobeats has a great short video that gives a nice summary of what you can find among the shops of Chandni Chowk. 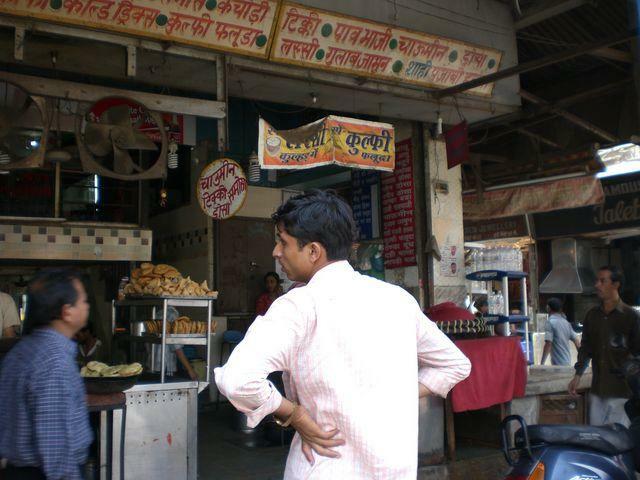 You can see the rest of my pictures from Chandni Chowk here.